Both teams will be looking to bounce back after their respective defeats at the weekend in different competitions. Firstly, Chelsea agonisingly lost on penalties in the Carabao Cup final to Manchester City last Sunday. The Blues performed excellently, but two mistakes in the shoot-out from Jorginho and David Luiz cost the Blues the Cup. Whilst Tottenham lost 2-1 in the Premier League away to Burnley. Ashley Barnes late goal really ended any faint hopes of Tottenham winning the Premier League this season. This game was also a negative for Tottenham as Pochettino had a bust up with Mike Dean at the end of the game, and on Monday- news came out that Poch had been fined. Both teams will be looking at this game as a massive opportunity to bounce back, especially considering the fact that these two sides are massive rivals. It’s safe to say that this game is more important for Chelsea. The Blues need to win this match to keep their hopes up of a top 4 finish this season. A win for the West-Londoners will also reduce the pressure on Maurizio Sarri. This game would have been even more important for Tottenham if they would have won at the weekend to Burnley, as they would have firmly been in a 3 horse race for the title. However they are firmly in the top 4, so the impetus is really on Chelsea to win this game which could really play into the hands of Spurs. Spurs will be the fresher side as they only played 90 minutes on the Saturday, whilst Chelsea played 120 minutes plus penalties in their loss to Manchester City on Sunday. The match will be televised live on BT Sport 2, with coverage starting from 7.30pm. BT Sport subscribers will be able to stream the match online via the video player and the BT Sport app. 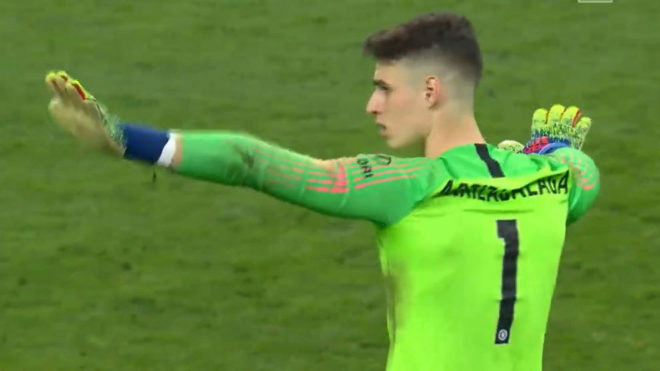 The main talking point ahead of this match for Chelsea is whether or not Kepa will start in this match, after he publicly defied Sarri in the Carabao Cup Final on Sunday. Caballero could be in line for his first start in all competitions since last Thursday, when he played in Chelsea’s second leg 3-0 victory over Malmo at Stamford Bridge. We should expect a little bit of rotation from Sarri, as his first team will be tired after playing a whole 120 minutes on Sunday. This may mean the likes of Alonso and Kovacic returning to the starting lineup. Cahill and Drinkwater are likely not to feature at all in this game. And Zappacosta is still doubtful after recovering from his fever that he has been suffering for a while. Eric Dier missed the Burnley game at the weekend, due to a virus. So he is a doubt for this game. 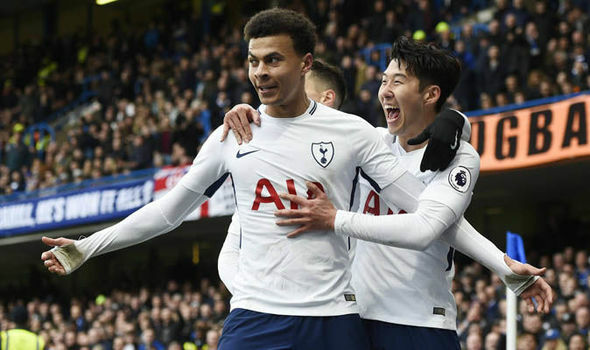 Dele Alli is still out with his hamstring injury, but is looking like returning as soon as this Saturday. Unfortunately for Tottenham, this game is this Wednesday, so the Englishman is likely to remain out, unless Tottenham play to rush him back for this game. Other than that, Pochettino has most of his squad to pick from for this massive game at the Bridge this Wednesday evening. Chelsea’s predicted starting eleven (4-3-3)- Caballero; Azpilicueta, Christensen, Rüdiger, Alonso; Jorginho, Kante, Kovacic; Willian, Hazard, Higuain. Tottenham’s predicted starting eleven (3-4-1-2)- Lloris; Vertonghen, Alderweireld, Foyth; Davies, Winks, Sissoko, Aurier; Eriksen; Son, Kane. “We are going to play a very good team with an amazing squad and players, capable to play and of course I don’t think they are going to be tired or in a different way. These two sides have met 163 times over the years in all competitions, with the Blues having the better head to head record. Chelsea have beaten Tottenham 69 times over the years in all competitions. There have been 40 draws between these two sides in all competitions over the years. And Spurs have beaten the West-London club 54 times. In terms of just League/Premier League head to head record, these two sides have met 141 times in League competitions over the years, with yet again the Blues having the better head to head record in this category. The West-Londoners have beaten Tottenham 58 times in League competitions. There have been 36 draws, including the 2-2 draw in the 2015/16 season which handed Leicester the title! 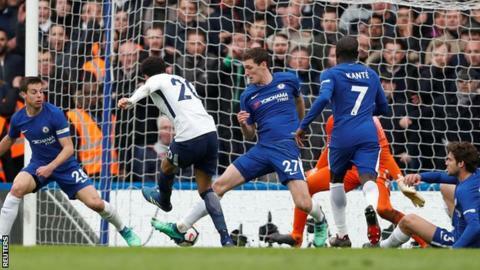 And Tottenham have beaten Chelsea 47 times in the League, including their first win at Stamford Bridge last season (1-3) which ended their 28 years hoodoo at Stamford Bridge. In terms of the most recent meeting between these two sides in general, it came in the Carabao Cup Semi-Final at the end of January, which ended 2-1 on the night to Chelsea, but the tie was tied at 2-2 on aggregate, and the Blues then went on to win the penalty shootout which sent them to Wembley for the Carabao Cup final. 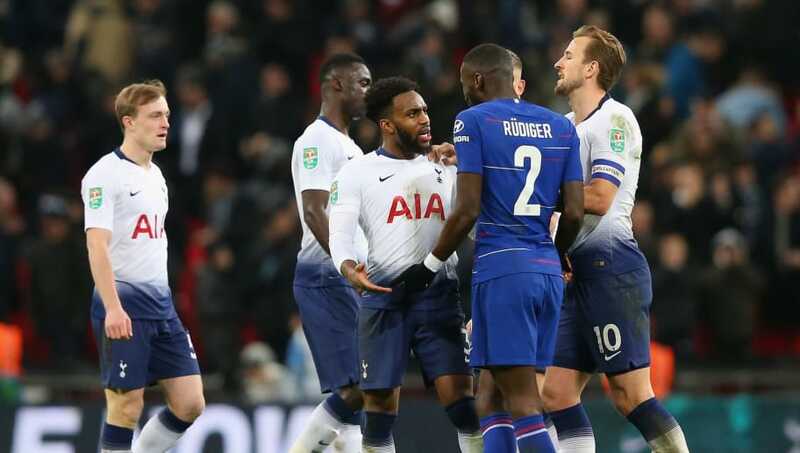 In terms of the most recent meeting between these two sides in the Premier League, it came earlier this season when Tottenham comprehensively beat Chelsea 3-1 at Wembley. That was probably the first game where Sarriball got found out! Bet 365 have priced a Chelsea win at 13/10. A draw between these two sides is being priced at 5/2. And a Tottenham win is being priced at 9/4. So as you can see from the odds, Bet 365 expect this to be a very tight game with not a clear winner. Now onto my realistic prediction as a Journalist, I’m going for a 2-2 draw. I expect Chelsea to be tired from their League Cup final on Sunday, and that can only benefit Spurs. My Optimistic prediction for this game is a 2-1 Chelsea win, with Hazard and Higuain scoring the goals for Chelsea, which will ease the pressure on Sarri, and keeps Chelsea well in this top 4 race. Harry Kane will score a consolation for Spurs. Leave me your predictions down below for this massive London derby on Wednesday.